Butembe County MP Nelson Lufafa. Christmas Service at Bugembe Cathedral Church in Jinja District was on Monday interrupted after the church leadership offered Butembe MP Nelson Lufafa an opportunity to address the congregation. Sources who attended the service say prayers were going on well until Mr Lufafa was given chance to speak. Upon getting the microphone, worshipers walked out of the church, accusing the legislator of misrepresenting their views in Parliament during the age limit bill debate. Lufafa in an earlier Facebook post had promised to stand by his voters by voting against the age limit amendment from the Constitution. The voters, however, claim they were astonished when he (Lufafa) voted in favour of the amendment. “I watched on TV and saw Hon Lufafa stand up and say that on behalf of us, the people of Butembe, he was voting ‘Yes’. This is not what we told him,” Christopher Kalulu, a resident of Butembe, said. 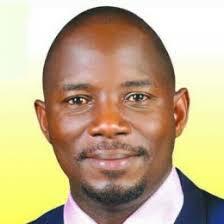 However, Hon Lufafa on Tuesday refuted the reports, saying they are aimed at downplaying his achievements. “I want to make it clear that nobody walked out of the church when I was speaking,” Lufafa said. This is not the first the legislator is pulling ropes with his constituents. During age limit consultations, voters vandalized his car, accusing him of supporting a life Presidency in the country.